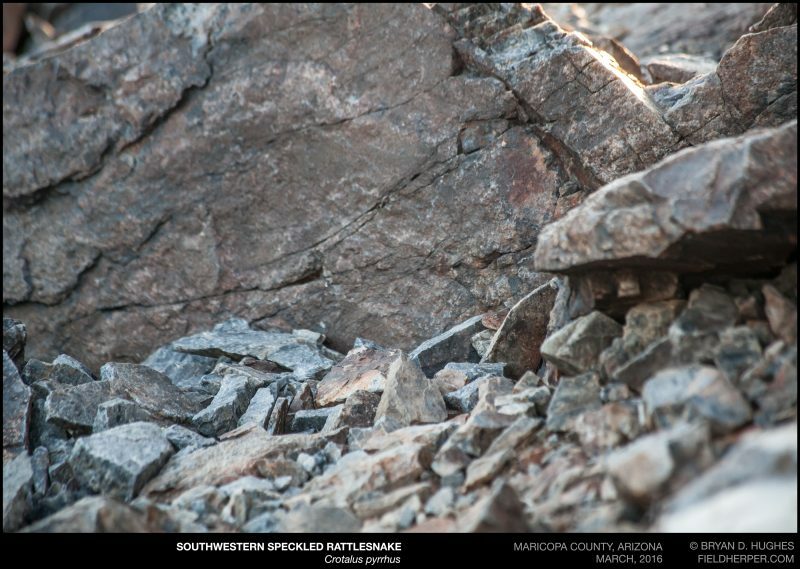 Based on some reports of speckled rattlesnakes seen on a trail in the Phoenix mountains in February, I set out to find the den they were staging from. 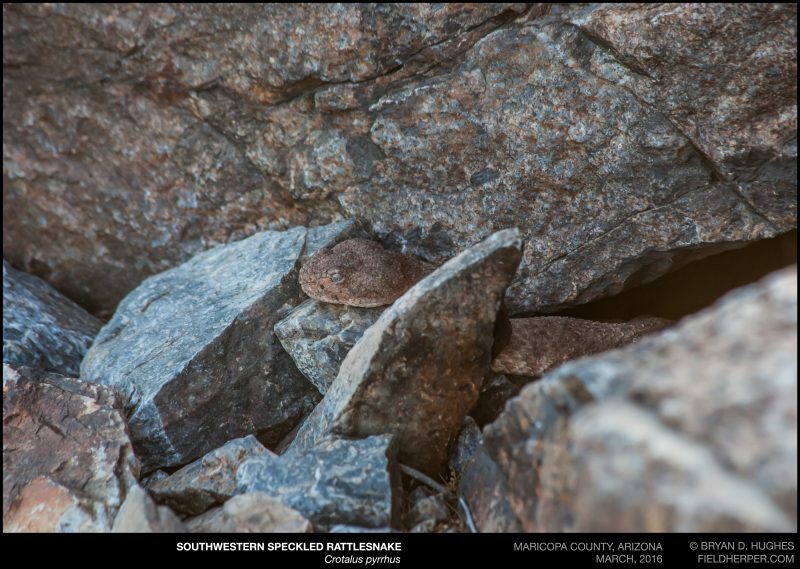 This was found at the very end of March, which is pretty late, but in my experience speckleds can take awhile to stage out and distribute into the drainages and outcrops where they will spend the later Spring and early Summer. This guy was found right away within a few minutes of searching, presenting me with the debate that happens with early success … stay and observe, or go and find more? See him there? Here’s a better angle. I opted to stay, but he never came out. Eventually he seemed to notice me and withdraw, but not much. I decided to try and give him some water, and took a video. I’m looking forward to watching this area later in the year! This entry was posted on Sunday, May 22nd, 2016 at 7:37 pm	and is filed under Field Herping. You can follow any responses to this entry through the RSS 2.0 feed. You can leave a response, or trackback from your own site.